According to a recent survey made by Social Media Today, 88% of marketers use visuals in more than 50% of the articles they publish. The same source suggests that original graphics (37%) and stock photography (40%) are the most popular types of visuals. We understand that original graphics are a big deal among marketers these days and this is good news. However, in order to prepare these visuals for publishing, you need to consider first how to design and create them. According to the above-cited source, almost half of marketers use online tools for graphics designs in order to create their valuable visuals. There are a lot of popular tools you can use right now. Canva is one of the most popular design tools available online and I am sure that some of you here, already tried it. What about other options? What are the best 5 alternatives for marketers and designers? Social media is based on visual imagery. And, with Instagram stories gaining in popularity, you need to create visuals at an increased pace these days, if you want to market your brand on that respective channel. While the text is still in business these days, images and animations are the pieces of content that catch our eyes and make us want to see or learn more. If you want to be successful on social media, you need visuals. And, you need top-notch, original visuals. 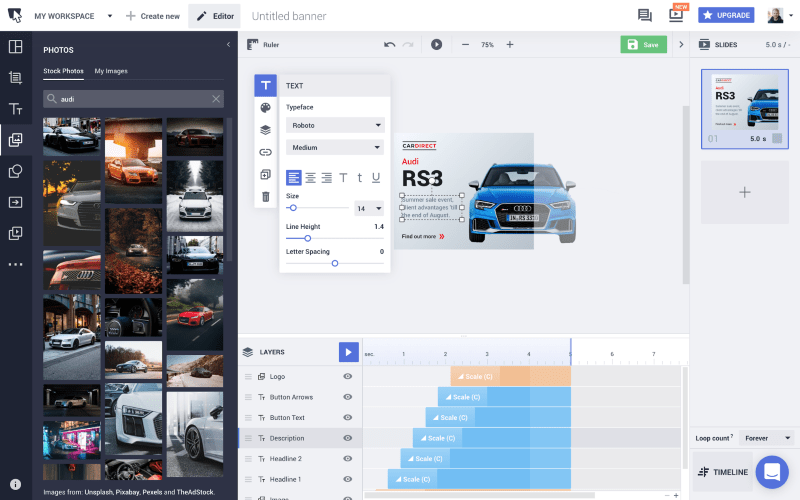 Bannersnack is the online design tool that was created with social media content in mind. It’s great for delivering professional designs but at the same time, it allows the designer to automatize his or her work when dealing with multiple social media platforms. And yes, there is an option to create a full set of designs for all social media channels, based on templates with the proper sizes and formats. Thus, you get to work on just one image and save it in just a few seconds for all your channels of marketing distribution. 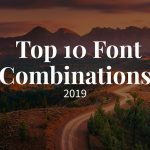 There are stock images available, an immense list of fonts and tools for banner animation in HTML5 format. Also, Bannersnack is ideal if you want to optimize your visuals for page speed, which is an essential element in today’s SEO. HTML5 format loads fast and it makes the ideal choice in this case. 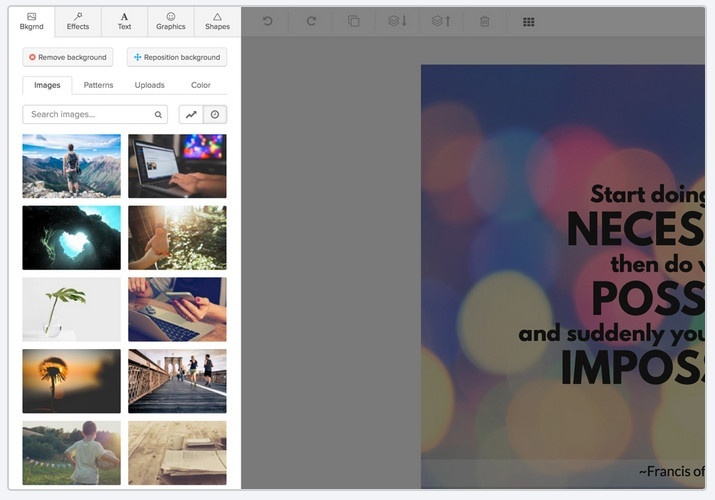 Similarly to Bannersnack, Stencil eases the work of the designer and automatizes much of his or her work, allowing them to create social media images in just a few seconds with minimal effort. 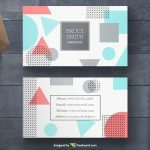 Just like Bannersnack, Stencil features a full range of stock photos and fonts you can use in your designs. There are also a few hundred templates available and a collection of 100k quotes you can use in your social media posts. 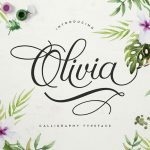 Stencil is more basic and easier to use than other similar apps and this is why it makes a perfect addition to a marketer’s list of design tools. It’s the perfect choice for creating simple social media images. And, sometimes, this is everything you need for attracting the audience. 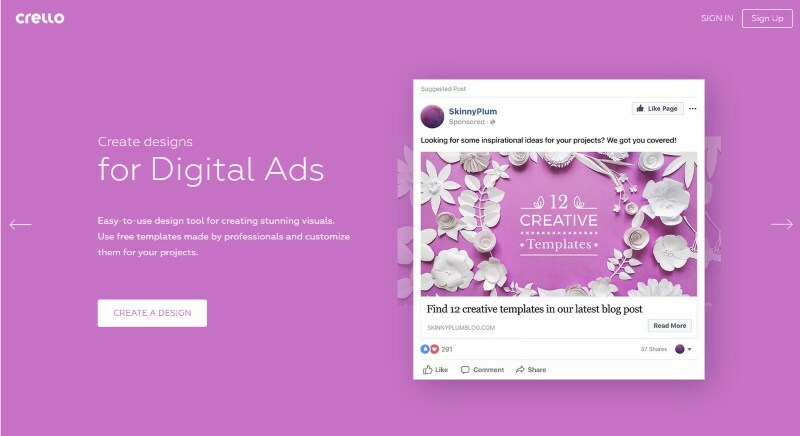 You can also consider Stencil for creating your visual ads for a fruitful paid ads strategy. There are numerous channels you can choose to deliver your message but at the same time, there’s only one thing that matters: quality. Stencil covers this issue and more, it allows you to save precious time while designing your ads. Crello is yet another web app for designers who want to create social media posts, animated posts, Print materials, and Social Media ads. Humans process images thousands of times faster than text and this is why, visuals are a good match for a fruitful marketing campaign. And, Crello is one of the many other apps you can use to create these visuals. 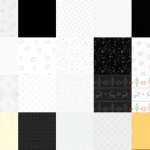 Similar to the previous apps, you get to choose from a wide range of templates here, 40 formats and hundreds of fonts. There’s a library of stock photos and illustrations available as well. Bannersnack caught our attention due to its full set of social media presets available. Well, you can find the same presets on Crello as well, whether you want to distribute your content on Instagram, Facebook or other channels. 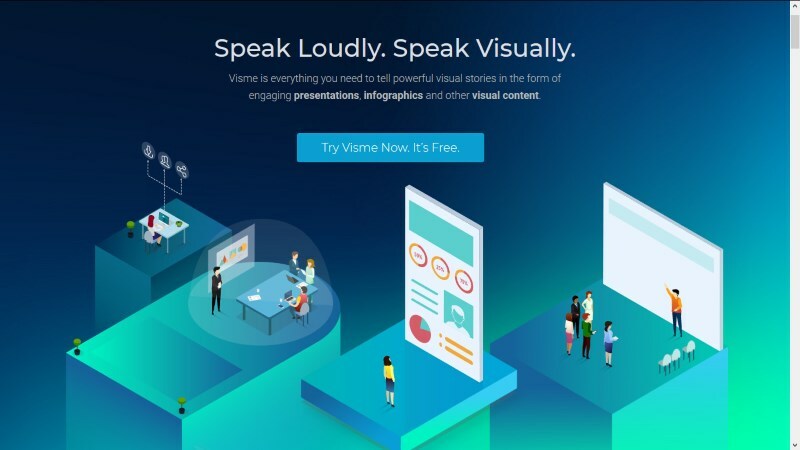 Visme is a design app that allows you to go even further and create presentations and infographics, besides the usual social media visuals. 74% of marketers use visuals in their ongoing campaigns and I must say, this is one good reason to start copying them and copying their success. In order to do that, however, you need to tell and sell your story. Visme is the best app if you want to tell stories to your audience and engage actively with them via these types of content. The text is boring for an important percent of today’s audience, which was raised with visuals and social media. You can transform your boring stories into engaging, attractive visual stories with Vise in just a few minutes and with virtually no costs. There are templates available here as well, and there’s a full range of templates you can choose from, for infographics, presentations or social media content. You can also add charts, videos, audio content and active links to your visuals, publish them from your Visme account or download them in multiple formats for storage or future upload on your chosen platforms. As the name suggests, Snappa is an online design app that allows you to create your graphics in a snap. It is suitable for all kinds of graphics, starting with blog images and up to social media visuals and of course, digital ads, which are increasingly popular despite the fact that people say they don’t like them and do not follow up on their advice. 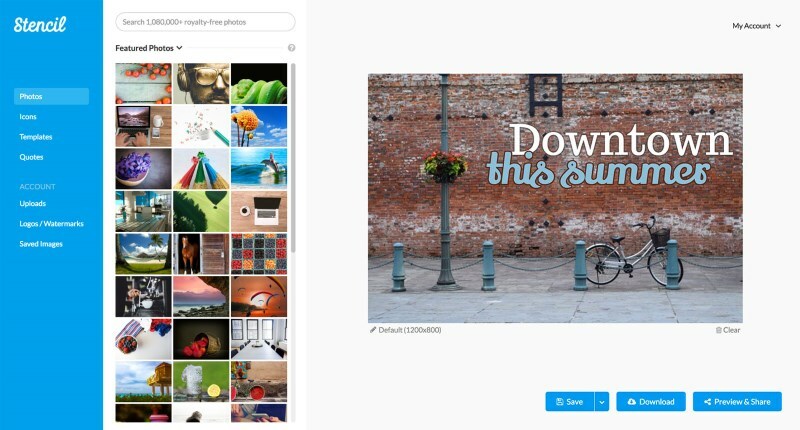 Snappa features a full set of templates based on preset sizes for all the major platforms and types of visuals and gives access to over 1 million professional top-notch stock images you can use when developing your visual identity. You can add texts, graphics, and effects to your visuals and you can do it in just a few seconds with minimal effort and minimal time input. This is one of the main reasons Snappa is ideal for marketers who value their time and who want to automatize their work and deliver professional designs easily and fast. Just like the previous four apps, Snappa is a premium designer tool, which means that in order to use it, you need a commercial subscription. 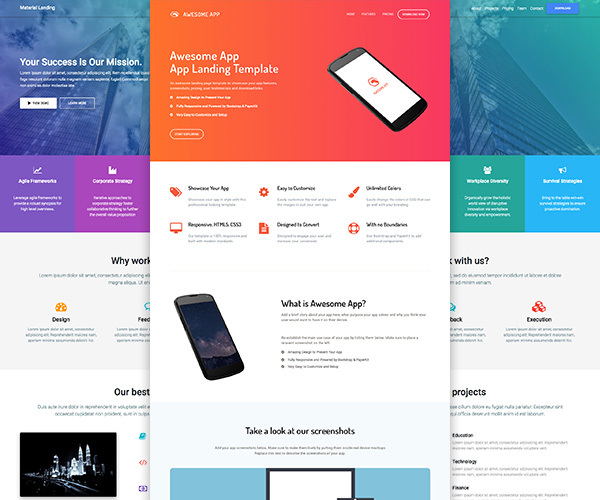 However, it features a free plan as well, a plan that you can sign up for if you are a single user who can manage their designs with a limited set of templates and stock images. Visual content is essential in today’s marketing industry. It was made popular by social media and soon, it has integrated into all channels of content distribution. Visuals make an instant impact on the viewer, they are easy to understand and can convey a message in less than 10 seconds, as opposed to a text message that has to be read in order to be effective. A successful visual marketing campaign, however, depends mostly on the inspiration of the marketer and their ability to design professional visuals. While inspiration depends mostly on the marketer, the design part is nowadays as banal as ever if you choose the right tools. 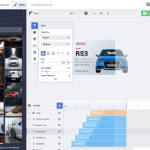 This article presented some of the best design tools available today. 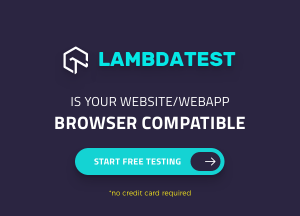 What other tools do you use and why? Robert Katai is the content marketing manager of Bannersnack, a professional banner creation app for designers and marketers. His work was featured on Entrepreneur, Adweek, Marketing Profs, Content Marketing Institute and other places. He is also blogging on his personal website.